So let me guess, you found me online, either via Instagram or by reading my blog posts and now you wonder how does this guy manages to travel the world and work remotely! Well, I was in your shoes not so long ago until I stumbled upon an Australian travel blogger who live that exact travel lifestyle and taught me everything I am about to tell you. I was never one of those people to be honest. And if you are reading this today, chances are that you also think differently! In the office: 9 to 5, Monday to Friday, every single week. Only free to do what I wanted: 25 out of 365 days! I had control over my life a whopping 7% of the time. It shouldn't come as a surprise that I hit a wall that affected my health and relationship with people I really care about because of working overtime and thinking only about my work because my salary was dependent of my work performance. In retrospect, that extreme low was the wake up call I needed! I had no other choice but to break free from those chains that held me down. And ever since I've started working for myself my life has changed drastically. I traveled to 40 countries across 5 different continents. I made my passions for traveling and photography a priority. 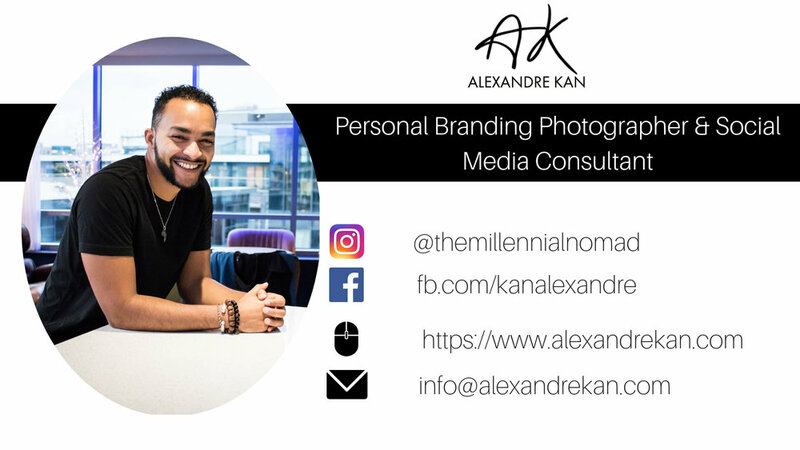 I set up my online business as a content creator and social media coach and now help aspiring entrepreneurs and small business owners leverage social media to promote their business and reach their ideal audience. It's been nearly 2 years since I quit my corporate life and started living life on my own terms. I've been living my dream, traveling full-time & working remotely from anywhere in the world and now being a stay at home new dad. When someone asks me what I do now, my face lights up as I actually enjoy telling people that I'm my own boss and earning a living with social media. And not just that, but I LOVE what I do. I love what I do because through the process of breaking free I've found my purpose. My purpose is to show them the way to do just that. Today, more than ever, technology is changing the life of many people on daily basis. All you need is to have the burning desire to make a change in your life, stay committed to your goals and be willing to learn and apply everything you will be taught. So, if my story resonates with you & you are READY to start living a life on your own terms, click the button below to take the first step towards taking back control of your life and learn how I have worked online while traveling the world and how you could do it too! Are you ready? YES, I am ready !!! And I can't wait to help you design your ideal lifestyle! ;) You can also get your FREE pdf guide to working and traveling the world by clicking on the button below.